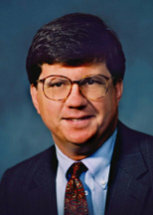 Paul E. Swain received a Bachelor of Business Administration degree in Finance from the University of Oklahoma in 1977 and his Juris Doctor degree from the University of Oklahoma in 1982, where he was an editor of the Oklahoma Law Review. Before forming his own law firm, Mr. Swain was an attorney, and later, shareholder in the Tulsa law firm of Boone, Smith, Davis, Hurst & Dickman for 18 years. He also served as a law clerk for the Honorable James O. Ellison, Senior Judge of the United States District Court for the Northern District of Oklahoma for 5 years. Paul E. Swain is a member of the American Bar Association, Oklahoma Bar Association and the Tulsa County Bar Association (member of the Professional Responsibility Committee). He was admitted to the U.S. District Court, Northern District of Oklahoma in 1982, the Eastern District of Oklahoma in 1983 and the Western District of Oklahoma in 1998. Mr. Swain was admitted to the U.S. Court of Appeals - Tenth Circuit in 1990. He is a Master of the Hudson-Hall-Wheaton Chapter of the American Inns of Court and has an AV Rating by Martindale-Hubbell. Paul Swain is actively engaged in numerous civic organizations including an active membership in the Rotary Club of Tulsa and he currently serves as Chairman of the Board of Heritage Family Services Adoption Agency. Mr. Swain is a past Chairman and board member of the Ronald McDonald Charities of Tulsa and currently is a member of the Ronald McDonald Charities Advisory Board. Mr. Swain is also a Fellow of the American Academy of Adoption Attorneys (AAAA). Paul E. Swain, PLC, represents clients throughout Oklahoma in communities including Tulsa, Oklahoma City, Bartlesville, Muskogee, Owasso, Wagoner, Weatherford, Kingfisher, Claremore, Norman, Broken Arrow, Stillwater, Edmond, McAlester, Okmulgee, Tahlequah, Miami, Durant, Tulsa County, Oklahoma County, Osage County, Wagoner County, Cleveland County, Cherokee County, Rogers County and Mayes County.